Martell Cognac’s latest offering represents the essence of the curious and audacious spirit of founder Jean Martell. Engraved on the bottle, Martell’s iconic swift emblem is significant as legend has it, Jean Martell was guided by the flight of a swift on his original journey from the island of Jersey to Charente, while the bird is famous for flying exceptionally long distances, crossing the Atlantic Ocean twice a year. 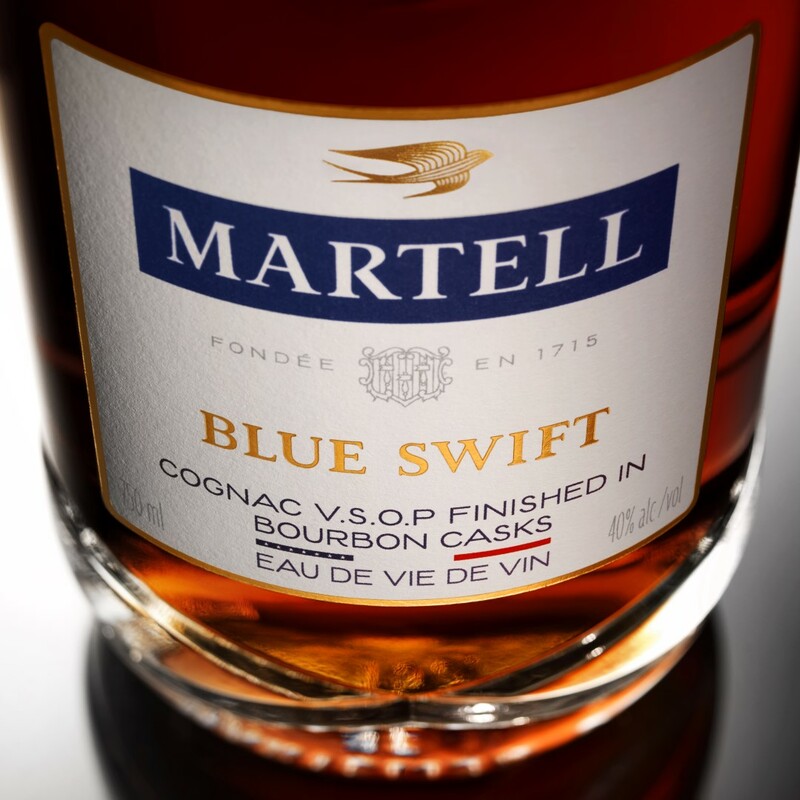 A tribute to the shared history between Martell and the United States, Martell Blue Swift joins the core lineup along with Martell VS, Martell VSOP, Martell Cordon Bleu, and Martell XO. Blue Swift is a rousing success that shows how Cognac and bourbon can work beautifully together. The color of the spirit is bourbon-dark, much deeper in hue than any standard VSOP you’ll encounter. On the nose, there’s lots going on, the traditional raisin-plum notes of brandy mingling nicely with oaky whiskey notes, layering in some cinnamon, flamed banana, and a touch of almond. The palate follows that up with aplomb. A relatively light body gives way to lush fruit, touched with oak. Currants and vanilla, figs and cocoa, hints of peppermint and gingerbread — they all come together into a surprisingly cohesive whole that showcases the best of both the brandy and bourbon worlds. The finish is light on its feet, not at all heavy, cloying, or otherwise overblown. Rather, it’s slightly drying and quite clean, its toasty wood notes lingering while echoing hints of fruity raisin. It’s lovely in its own right, but I’m particularly hard-pressed to think of a better Cognac at this price point. Stock up!